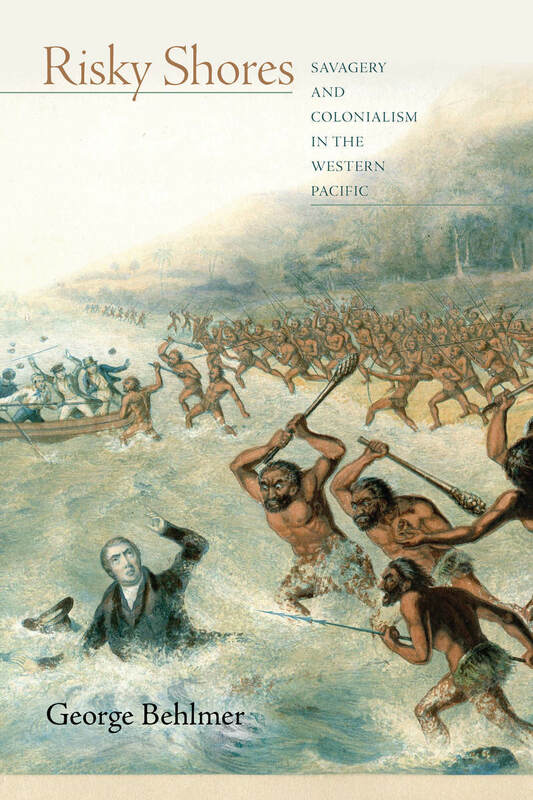 In his new book, UW history professor George Behlmer argues that Britain’s early visitors to the Western Pacific in the 18th century, who were mostly mapmakers and missionaries, “manipulated the notion of savagery to justify their own interests.” The book was published this summer by Stanford University Press. “Risky Shores: Savagery and Colonialism in the Western Pacific” was published this summer by Stanford University Press. “Risky Shores” focuses on the islands of the western Pacific ocean between the time of Captain James Cook’s death in 1779 and the end of World War II in 1945. The area called Melanesia — a subregion of Oceania — encompassed New Guinea, the Solomon Islands, Vanuatu (then called the New Hebrides), New Caledonia and Fiji. Across five chapters, Behlmer examines “the savage practices so closely connected in British minds with the western Pacific” such as cannibalism and headhunting. Images of Melanesian “savages” — in reality local residents who were understandably threatened by the appearance, behavior and weaponry of white explorers — helped create “a unifying sense of Britishness” in the nineteenth and early 20th centuries, Behlmer writes. “Risky Shores is a wonderful book,” wrote Jane Sampson, professor of arts, history and classics at the University of Alberta. “Beautifully researched, compellingly written and vitally important to debates about race relations and agency in the Pacific world. For more information, contact Behlmer at 206-543-5747 or behlmer@uw.edu.